FootGolf is the newest outdoor recreation activity available at Pipestem Resort State Park. Soccer teams from Concord University plan to use the course on Thursday, but according to a release, they won’t be playing soccer. FootGolf is played with a regulation #5 soccer ball at a golf course facility on shortened holes with 21-inch diameter cups. The rules are basically the same as golf except that players use their feet instead of clubs. Concord Senior Soccer Player Cole Cloonan expects the FootGolf to help with his soccer game. Pipestem Resort State Park is in Summers County, about a 10 minute drive from Concord University. Over the last year, the park added several activity options for visitors such as GaGa Ball, Slack Lining, Remote Controlled Car tracks, Murbles and now, FootGolf. Pipestem’s Par 3 golf course is used for the FootGolf course site. FootGolf may be played after 4 p.m. Saturdays and after 2 p.m. the other days of the week when traditional golf play typically is light. The cost is $6 for adults and $3 for youth 18 and younger or with college identification. Ball rental is $2 but requires a $5 deposit, or players may bring their own #5 soccer ball. The attire is standard golf apparel which includes a collared shirt. The Par 3 course is typically a par 27 for 9-hole play for the game of golf. FootGolf is a par 35 for nine holes. FootGolf players share the course with traditional golf play. Players may wear tennis shoes or indoor turf shoes, but metal or soccer cleats are not allowed on the course. There is a scorecard, and yes, cart rental for FootGolf is possible, “but it tends to defeat the purpose because the game is about the feet,” Biroscak said. FootGolf is a game played throughout the world in many different forms, but as a sport, it is regulated by the Federation for International FootGolf (FIFG). The American FootGolf League (AFGL) is the exclusive member of the FIFG and governing body for the sport of FootGolf in the United States. 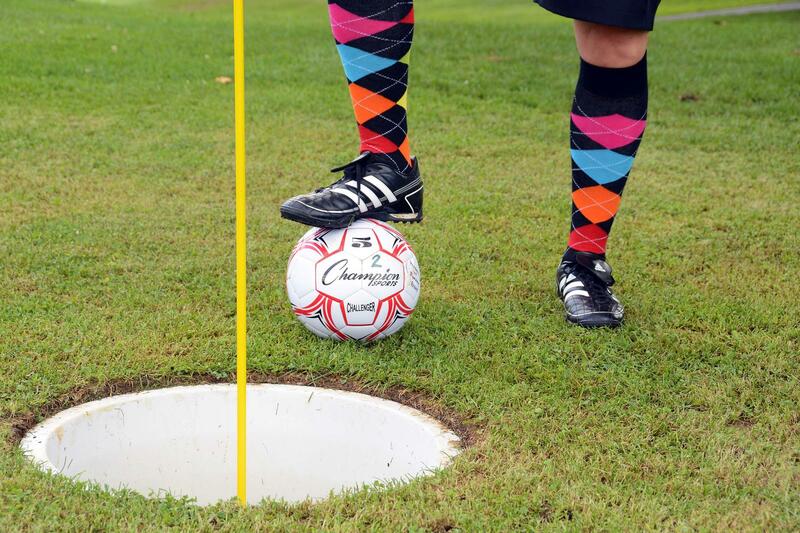 The AFGL is organizing tournaments throughout the country, working with golf courses to bring FootGolf to their clubs as another avenue for revenue and to develop the game further. A bridge commemorating a village settled in Summers County in 1772, is being replaced. But the project is providing more than just a new bridge for vehicle traffic.